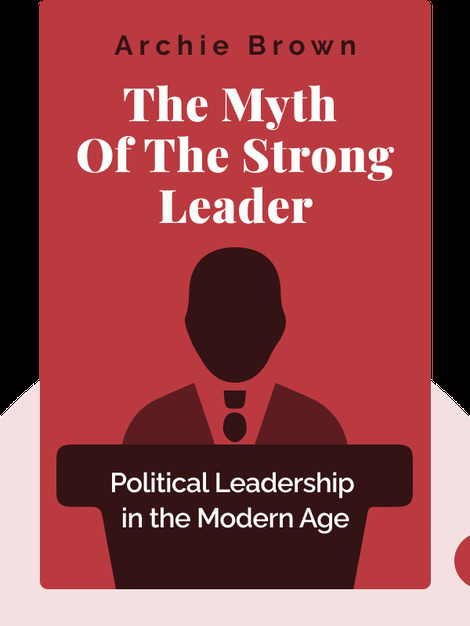 The Myth of the Strong Leader (2014) explores why people tend to favor charismatic leaders, those they perceive as “strong.” These blinks show which factors allow such leaders to rise to power and why such a personality type shouldn’t necessarily lead a democratic society. Importantly, you’ll learn what can happen on an international scale when ill-suited “strong leaders” take the reins of a democracy. 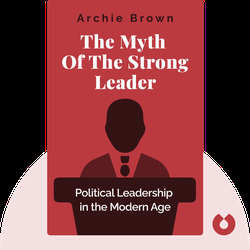 An expert on the politics of Russia, the United States and the United Kingdom, Archie Brown is an emeritus professor of politics at Oxford University. He won the W. J. M. Mackenzie Prize of the Political Studies Association of the UK for best political book for both his titles, The Gorbachev Factor and The Rise and Fall of Communism.